This system is powered by an 8th Gen Coffee Lake 2.7 GHz Intel Core i7 Quad-Core processor that features a burst speed of up to 4.5 GHz, while 8GB of 2133 MHz LPDDR3 RAM helps to ensure smooth multitasking and also allows the computer to quickly access frequently-used files and programs. The system memory cannot be upgraded. For long-term storage of your files, this MacBook Pro is equipped with a 512GB PCIe SSD. If you want to add external peripherals, four Thunderbolt 3 ports support bi-directional transfer speeds of up to 40 Gb/s, while also supporting 10 Gb/s USB 3.1 and device charging. 802.11ac dual-band Wi-Fi is built-in for wireless networking, and Bluetooth 5.0 technology will allow you to connect additional compatible peripherals. Other integrated features include a 720p webcam, three microphones, stereo speakers, a 64-key backlit keyboard with four arrow keys, an ambient light sensor, and a large Force Touch trackpad. With an 8th Intel Core processor, the MacBook Pro reaches higher heights in compute performance. The 13.3" model now features a 2.7 GHz Intel Core i7 Quad-Core with up to 4.5 GHz Turbo Boost speeds that are up to twice as fast as the previous generation. So when you're powering through pro-level processing jobs like compiling code, rendering 3D models, adding special effects, layering multiple tracks, or encoding video, you'll get everything done. Faster. 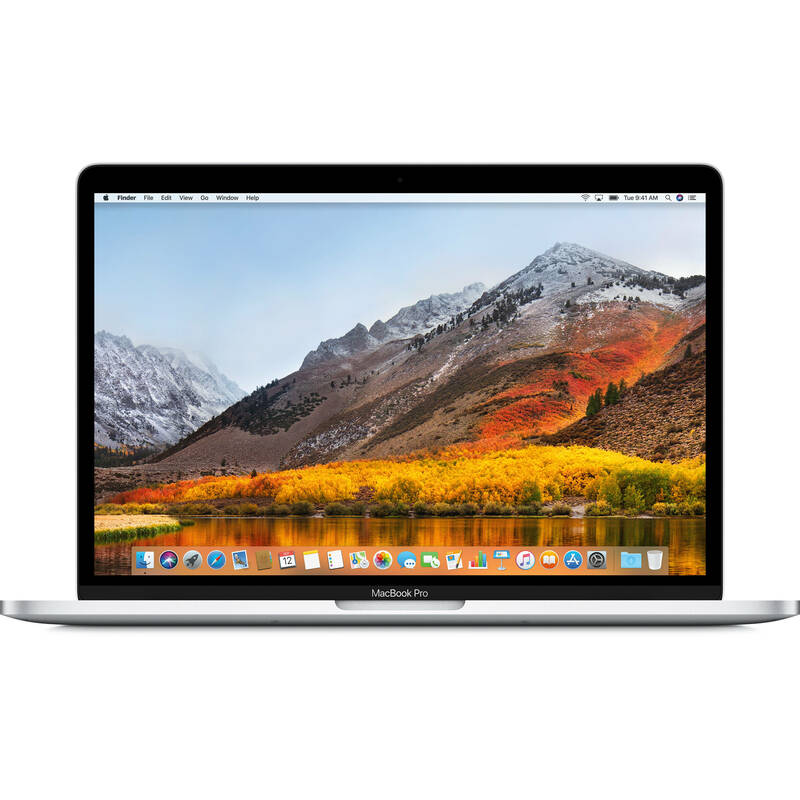 13.3" MacBook Pro with Touch Bar (Mid 2018, Silver) is rated 4.7 out of 5 by 182. Rated 5 out of 5 by Kandy from Better than my last Macbook Pro I really like this Macbook pro, it replaced my 2011 version. The only con that I have found is that the escape button is on the touchbar, on the left, and at first I was constantly bumping it. Which caused me to lose a few paper I was working on for college. But I have learned to save as I go to avoid such tragic loses. And I bought an app that helps to avoid this problem. Other than that this laptop runs much cooler than the last one, is lighter and everything looks . much better. I dont have anything to complain about. It was an improvement of my 2011, but it should be. Is it possible to switch backlit keyboard for the same amount? This Macbook Pro would come with a backlit keyboard.